Valentine’s Day at Bluespoon. Not only will this involve multiple spoonfuls of flavour, we’re all about ensuring things get a little heated. Gin, oysters, a shared dessert and everything in between should get you in the mood for some Valentine’s Day lovin’. 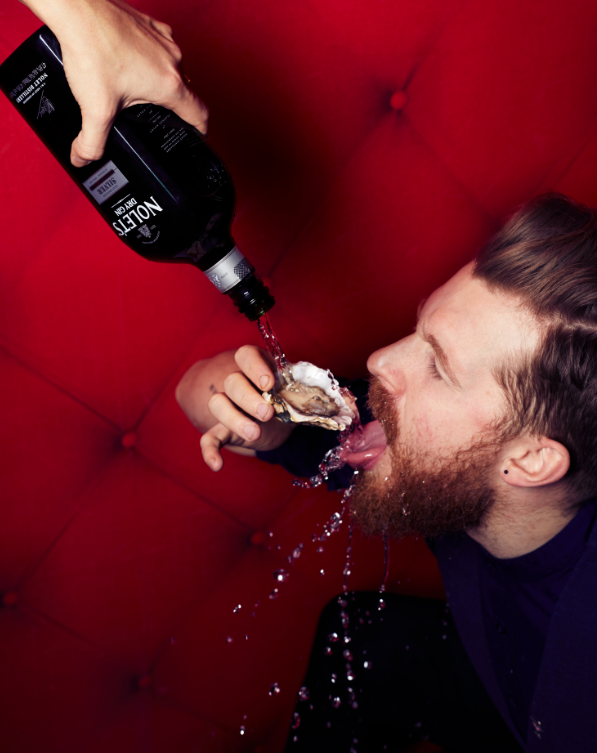 Meet your lover in the bar for some pre-dinner liquid courage and everyone’s favourite aphrodisiac: the oyster. Add a drop of resident Mad Hatter Martin’s favourite gin – Nolet’s Gin. This could be a long evening after all. Start with langoustine. No, start by taking a seat and allow us to look after you for a few hours. We know that Head Chef Sander and Bar Manager Martin enjoy joining forces to close the loop between the bar and restaurant. Based on Chef Sander’s chosen menu, Martin has chosen a perfectly paired gin & tonic to match each dish. Why G&T’s you ask? Well, they’re a classic, but they’re a festive classic. And aren’t we celebrating love? Now we can start with the langoustine dish. Paired with the bright and floral tones of Silent Pool gin and 1724 tonic, you’re off to a refreshing start of the evening. A crowd favourite, Bluespoon’s infamous gnocchi with egg yolk and Old Amsterdam cheese is paired with the slightly sharp Rutte Celery Gin and Fentiman’s Dry Tonic. This combination will leave you feeling warm and comfortable, without having you doze off. We still have two courses to go! On to the main course. Duck, artichoke, pickled fig, smoky beetroot and thyme jus. Best paired with Italian Gin de Professore and Fentiman’s Dry Tonic. The cinnamon, vanilla and wild rose tones in the gin compliment the smokiness of the main dish, leaving you with a smooth and satisfied palette. The after party is best when shared. A dessert paired with a Blind Tiger gin & East Imperial tonic. Be prepared to get your hands dirty. You may even have to stick your tongues out. But hey, it’s Valentine’s Day.